Shellfish tags are part of a Federal and State program designed to identify and track shellfish as they move through the market. 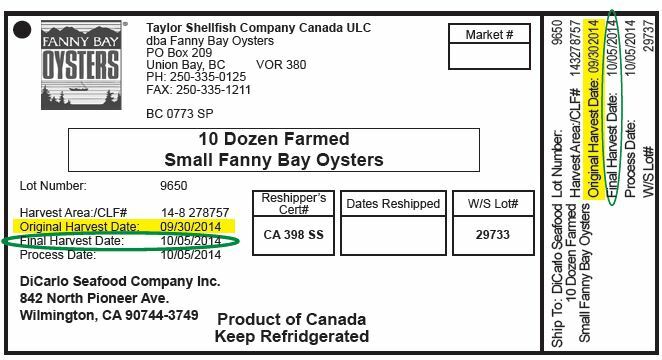 Shellfish tags identify the harvest location and date in order to provide a detailed point of reference as required by the Federal government. As you can see by some of these tags, the supplier will also indicate dates of WET STORAGE (sometimes called FINAL HARVEST). This date reflects the exact day the shellfish was removed from the water for packing and shipping. Shellfish is held in wet storage to clean out sand, grit and bacteria and to promote longer shelf life. The Wet Storage/Final Harvest date is the date you should use to plan for future orders and to help monitor shelf life. 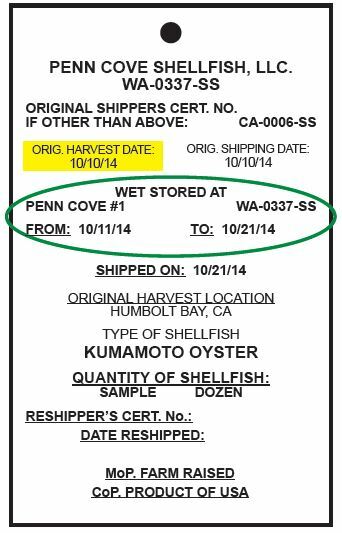 You can think of the Wet Storage Date as the actual date the shellfish was harvested. The Harvest Date is listed mainly so the Federal Government can track the shipment in the rare case of an issue. 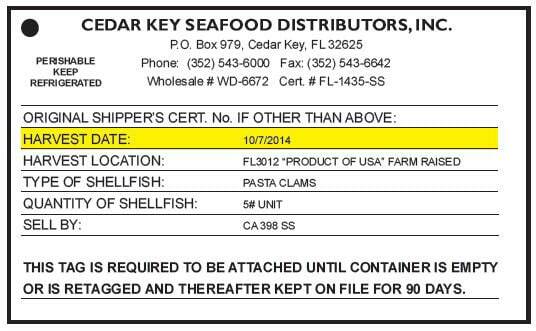 If there is no Wet Storage/Final Harvest date (as in the Cedar Key example) that means the product was shipped immediately after harvest.